i'm that person who (as much as i'm ashamed to admit it) brings that fake powdered cheese in her purse into the movie theater to add to the movie theater popcorn. it might be crazy but sometimes you have to do what you can to add some flavor to things. 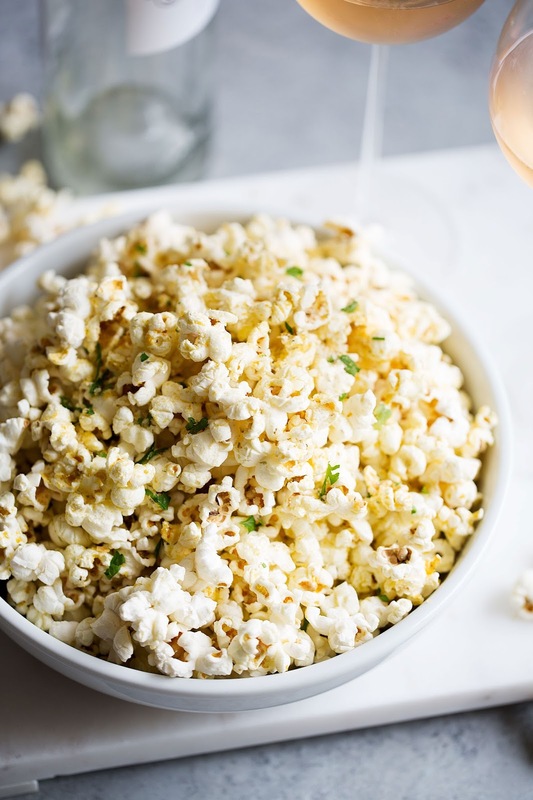 more recently i have started making this version of cheese popcorn as a snack at home. it's a much healthier version because, well, it uses real cheese, as well as the addition of nutritional yeast - to add a nutty flavor. many vegans use nutritional yeast in place of cheese whereas i use it in this recipe for its savory qualities to enhance the cheese. 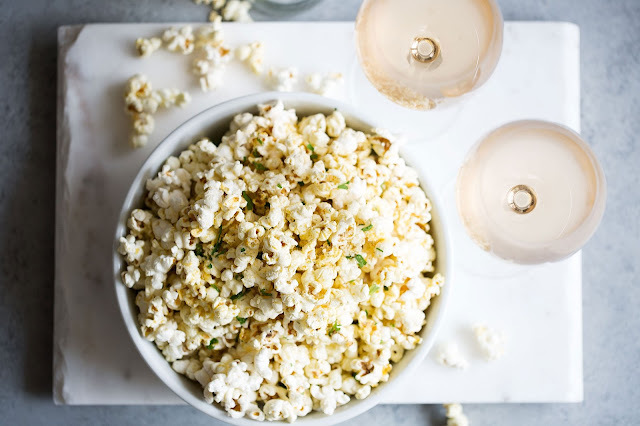 the oscars are a notoriously glam night so it seems fitting to make this fancy classed up popcorn for the occasion. it only takes a few minutes as well as only a few ingredients. about as long as it takes for giuliana rancic to interview one person on the red carpet and ask "who are you wearing?" while watching the oscars i love sitting around with my friends and playing bingo to see who can get the most things right about the event. for example, you cross off when someone cries or swears, or if they run over the allotted time and the music starts to play. in this recipe i make the popcorn on the stovetop - just make sure you have a large, heavy pot with a tight-fitting lid first. 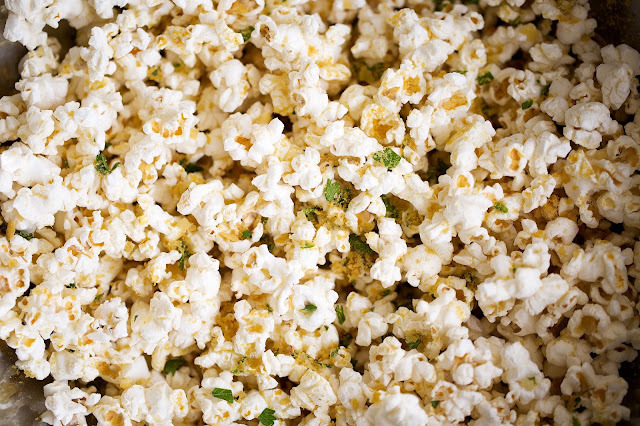 or you can make this recipe in the microwave using a popcorn maker. heat a large heavy bottom pot over low heat, add the oil and heat through. 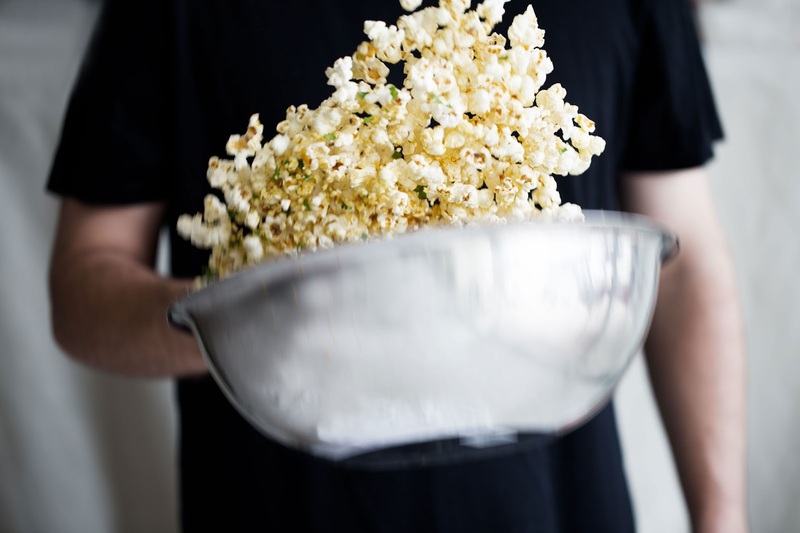 drop one popcorn kernel into the pot and when it pops, add the remaining kernels and cover the pot. shake the pan and continue shaking the pan every minute or so that by the end of the cooking process, all the kernels heat evenly and pop, about 5 minutes total. remove from the heat and add the popcorn to a large bowl. evenly pour the melted butter and garlic powder over the top and toss to coat. next, add half of the parmesan, pecorino romano, nutritional yeast and rosemary over the top. top with the parsley to garnish, if using.